You might drink whiskey because you like the taste while others around you twist their face and put it down with a chase. You could drink it for how it makes you feel. Either way, you’re a fan and you should know everything you need to know when you’re talking about whiskey, also spelled whisky by some enthusiasts. Well, this will get you started. 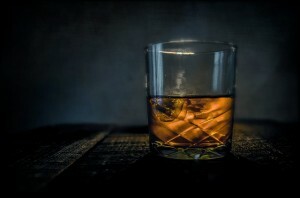 Once you learn a little about whiskey, you’ll understand that there is more to it than what you can learn in just one article. There is a history and a science that only a few people actually master. Everyone else, we are lesser connoisseurs of one of the greatest drinks known to man. To know how it’s made is a good step in the right direction. The starches in barley need to be converted to sugar. So, the barley is soaked for several days in warm water. Then, it is spread out on a malting floor for germination. It is dried in a kiln and ground in a mill to be turned into what they call malt. Once the barley has been turned into malt, it is placed back in warm water and stirred. The best place to put a distillery is next to a river or other natural body of water for a pure, reliable source because this part of the process has a lot to do with the quality of the final result. This is called the mash. As the sugars in the malt dissolve, what you are left with is called the wort. The process is repeated several times and then the resulting wort is passed into large tanks traditionally made of wood, but some distilleries use stainless steel. Yeast is added and fermentation is allowed for a few days, or longer depending on the distilleries own process. What you have now is the wash, a low alcohol liquid that you can turn into beer at this point if you would like. But it wouldn’t be considered brewed beer, which would make it unique. This is when the process gets really good. Different types of whiskey require their own particular process. In the distillation, there are three parts of alcohol. The first part is the strongest, but very pungent. The last part is very weak, but it also isn’t very good. These two parts should be recycled back to your next batch of whiskey. It’s the middle part that is the best and it’s called the heart. The Heart of Whiskey, that is the spirit that is matured in oak casks. It is what will ultimately become the whiskey you drink from the bottle. As it matures, there is something quite majestic that takes place. It is traditional for part of the whiskey to come up missing over the years that it sits in storage. The Angel’s Share, this is the amount of alcohol the angels take to taste and make sure it’s good. That’s why it’s a good thing to give the maturation stage a few years. The longer it matures, the better it gets and the more expensive it is. That is because the angels have taken a bigger share. Now, a new term is being introduced to the whiskey world by none other than Jim Beam. While the angels are taking from the top, the devils are sucking whiskey through the wood. Jack Daniels has a process for recovering a good portion of that whiskey. But, Jim Beam has a brand of whiskey that is made with it. The Devil’s Cut, that is the whiskey that gets trapped in the pores of the oak casks. Jim Beam has created a process that extracts the lost whiskey from deep inside the cask and makes a whiskey all its own. Now they have a special bourbon and we have a new term to add to our whiskey language. This entry was posted in Drinking, Home Brew and tagged whiskey, whisky by Stan Schubridge. Bookmark the permalink.